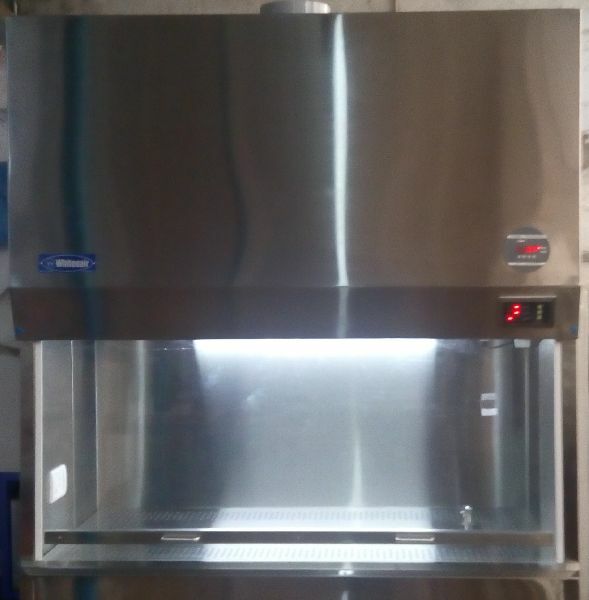 Whitenair Class II B2 Bio-safety Cabinet are designed to provide operator,Products, and Environmental protection in Experiments where recirculation of filtered air prohibited,due to the presence of chemical fumes emitted during the process. Chemical Fumes canot be captured by the filters and will be harmful to the operator if re circulated with in the laboratory.Hence whitenair Class II B2 BSC have to be ducted to an external blower for total exhaust to outer Environment. Established Safety as all the whitenair BSC comply to the requirement of most of the international Standards Such as NSF/ANSI 49,EN 12469 etc. Ergonomic, featuring arm rest, angled front.